I am a PhD candidate at the Department of Sociology. Originally from Hong Kong, I gained my BA (first class honours) in the Faculty of Arts and an MPhil in the Department of Sociology at the University of Hong Kong. Issues concerning social inequalities, social justice and the welfare of marginalised groups have been close to my heart ever since my community participation during undergraduate years. This leads to my choice to research on menial unskilled service workers who are invisible in public as well as in academic research for my MPhil study. My MPhil thesis, titled 'An Oral History of Woman Cleaning Workers in Hong Kong', situates in the research field of gender, work and employment. It explores the experience of woman cleaning workers in public area, throwing light on their labour process and the impact of their work on the formation of personal identities in the context of the neo-liberal restructuring in the service economy in Hong Kong. Life history approach was employed. I came to the UK in 2004. During the 7 years of living in the UK, I worked in various interesting projects, including Mental Health in Higher Education (mhhe) as the project development officer. mhhe is a UK-wide network that aims to enhance learning and teaching about mental health through across disciplines in UK Higher Education. I learned about debates around mental health as a contested field, social perspectives on mental health, innovations and alternatives about what helps service users and the mental health service user movement. My interest in mental health grew. I was an honorary fellow at the Centre of Excellence in Interdisciplinary Mental Health, the University of Birmingham, as well as a member of Suresearch - a network of service users in research and education. I started to see the possibility of using sociology, a discipline i love, to understand and research about mental health. My PhD research is thus a combination of my long term concern in social inequalities and social justice with recently developed interest in mental health. The thesis, titled 'Recovery from What to Where: A Case Study of Chinese Mental Health Service Users in the UK', critically interrogates the concepts of recovery and the elements of the recovery approach which been adopted as a mental health policy paradigm in many different countries including the UK. With my qualitative skills of life history approach, rich narratives of the lived experience of Chinese mental health service users' recovery journeys were collected. A synthesis of Capabilities Approach and Intersectionality Analysis was used to analyse the interplay of structural inequalities and agency in enabling or constraining Chinese mental health service users in pursuing and living a meaningful and valued life. The thesis is submitted. I am now writing a number of papers for journal publications based on the thesis. I look forward to apply my knowledge and expertise in mental health in Hong Kong, Mainland China as well as other East Asia countries through research, teaching and community participation. Tang, L. and Anderson, J. (2008) 'Building a community of practice - the "Mental Health in Higher Education" website'. Health Info Internet 65(1):3-5. "Recovery and Social Inequalities: The Use of Capabilities Approach and Intersectionality Analysis in Exploring the Social Conditions for Recovery", oral paper to be presented at the XVIII ISA World Congress of Sociology, Yokohama, Japan, 13-19 July, 2014. 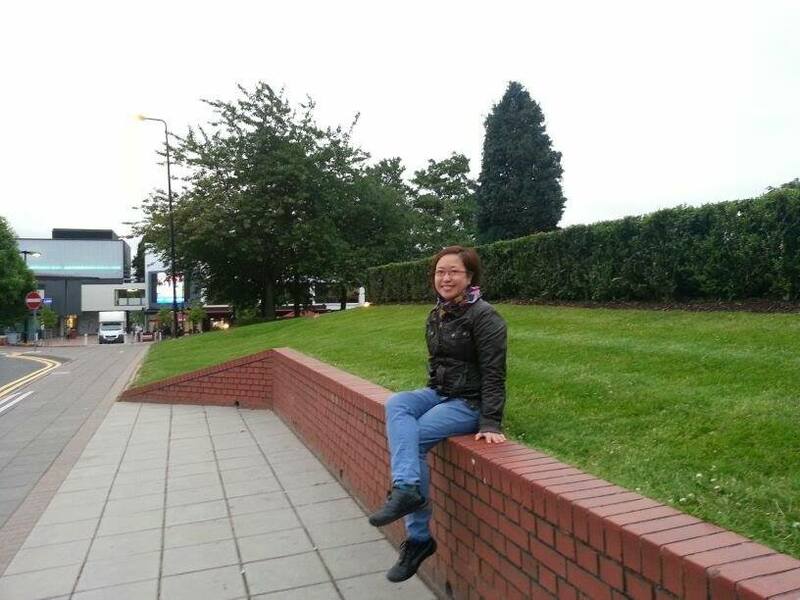 "Exploring the social conditions for recovery with Capabilities Approach: a case study of Chinese mental health service users in the UK", oral paper presented at the Qualitative Research on Mental Health Conference, University of Nottingham, 25-27 August, 2010. 'Educators learning with, from and about each other - lessons from the UK', workshop organised together with Jill Anderson and Hilary Burgess at the International Interprofessional Education Network Conference: Learning together to work together, Jagiellonian University, Poland. September, 12-14 September 2007. 'Building a platform for IPE - educators learning with, from and about each other', workshop organised together with Jill Anderson at the Embedding Interprofessional learning and higher education and the workplace conference, Middlesex University, 22 June 2007. 'Creating Capable Teams and the 10 ESC for mental health educators: applications in a higher education setting', workshop organised together with Jill Anderson at the National Institute for Mental Health in England Learning and Development Conference, Leeds, 17 May 2007. Part-time lecturer, 'Sociology of Health' (course leader), HKU SPACE Community College, Hong Kong. Part-time lecturer, 'Self and Society', Department of Social Sciences, Hong Kong Institute of Education. Part-time lecturer, 'Basic Sociology', Department of Applied Social Studies, The City University of Hong Kong. Guest Lecturer on the sociology of mental health, 'Introduction to Applied Sociology', Department of Applied Social Studies, The City University of Hong Kong. Tutor, 'Introduction to Sociology' and "Marriage and the Family', Department of Sociology, The University of Hong Kong. Researcher. Data coding for "Values and communication study in A&E", Centre for Primary Health Care Studies, Warwick Medical School, The University of Warwick. Mphil research. Thesis titled 'An Oral History of Woman Cleaning Workers in Hong Kong' studying the labour process of public cleaning work and the work identity formation of woman cleaning workers. Department of Sociology. The University of Hong Kong. Research Assistant. In-depth interviews with women suffering from domestic violence. The University of Hong Kong.